DA Form 3838 or the "Application For Short Course Training" is a form issued by the United States Army. 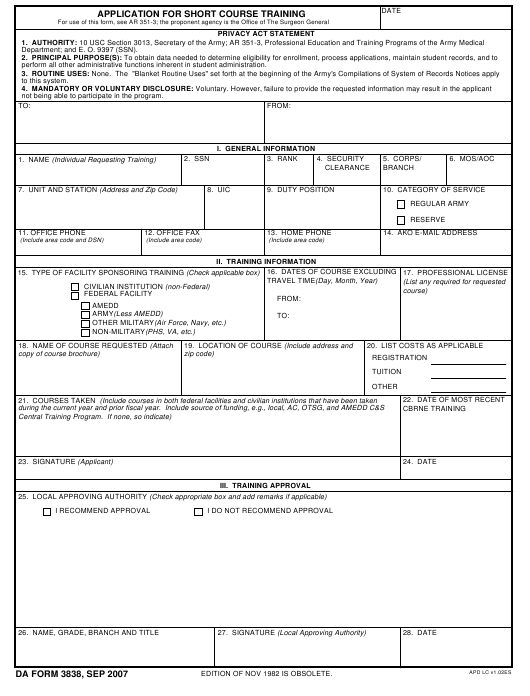 Download a PDF version of the DA Form 3838 down below or find it on the United States Army Forms website. Department; and E. O. 9397 (SSN). perform all other administrative functions inherent in student administration. not being able to participate in the program. EDITION OF NOV 1982 IS OBSOLETE.